Dr. Karnis is originally from Toronto. She pursued her undergraduate studies at McMaster University, where she earned a Bachelor of Arts and Science degree. In 1993 she graduated from medical school at McMaster University. Dr. Karnis completed her internship at the University of Toronto, in the Department of Obstetrics and Gynecology and then returned to McMaster for her residency in Obstetrics and Gynecology. Upon completion of her residency, Dr. Karnis moved to Boston, Massachusetts where she engaged in a three year fellowship in Reproductive Endocrinology and Infertility at Harvard Medical School, in conjunction with the Beth Israel Deaconess Medical Center and Boston IVF. In 2002, Dr. Karnis returned to Canada. She is a fellow of the Royal College of Physicians and Surgeons of Canada and is U.S. Board Eligible in Obstetrics and Gynecology and Reproductive Endocrinology and Infertility. She is the REI program Director at McMaster University. Her research interests are in the area of Turner syndrome and premature ovarian failure. She is internationally recognized as an expert in the risks of pregnancy in women with Turner syndrome. Her practice involves the management of patients with infertility, recurrent pregnancy loss, premature ovarian failure, polycystic ovarian syndrome and endocrinologic disorders affecting the female reproductive system. She also specializes in reproductive surgery including operative hysteroscopy and tubal reconstruction. 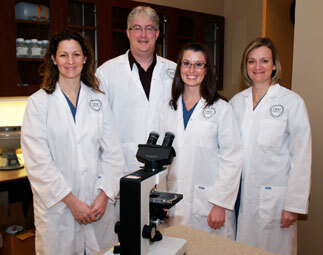 Dr. Karnis doubles as a wife and mother of three young children. Dr. Amin is a specialist in Reproductive Endocrinology and Infertility. She completed her medical training (1996), followed by a residency in Obstetrics and Gynecology, both at the University of Manitoba. On completion, she held a faculty position as lecturer at the University of Manitoba and practised general Obstetrics and Gynecology at St. Boniface General Hospital in Winnipeg. In 2002, she pursued a fellowship in Reproductive Medicine at the University of Ottawa. Dr. Amin has published articles in the Society of Obstetrics and Gynecology Journal of Canada (SOGC), and The Journal of Pediatric and Adolescent Gynecology; and abstracts in Fertility and Sterility. She has also contributed to a poster session at an annual meeting of the American Society of Reproductive Medicine. Her interests include all fields of Infertility and Reproductive Endocrinology including Polycystic Ovary Syndrome (PCOS) and Recurrent Pregnancy Loss (RPL) and endometriosis. She performs laparoscopic and hysteroscopic surgery for infertility, and has a special interest in Pediatric and Adolescent Gynecology. Dr. Amin is an Assistant Professor of Obstetrics and Gynecology at McMaster University and the acting supervisor for the residents in the McMaster University training program. She doubles as a wife and mother of three, and is fluent in English and Hindi. Michael Neal completed his Masters Degree in Biomedical Sciences at the University of Guelph, focusing on the reproductive consequences of chromosome abnormalities. He began his career in Human IVF by working in a private clinic in Toronto, and has worked as a Laboratory Manager in .public and private clinics since 2000. He is in the final stages of completing a PhD in the Medical Sciences program in the Reproductive Biology Division at McMaster University, Hamilton, Canada. Michael Neal’s experience in clinical Assisted Reproductive Technologies and his keen research interests have gained him an international reputation for innovation and excellence. He has numerous peer-reviewed publications and is a frequent reviewer for many major scientific journals related to reproduction. Mike is a recipient of the prestigious Laboratory Innovation in Fertility and Embryology (LIFE) Award. Recent honours include: Best Basic Science Paper, Best Clinical Paper, Alpha Exchange, and the R.T. Weaver Award, among other acknowledgements. In addition to his clinical responsibilities, Mike has research interests in the following areas: (a.) the effect of environmental contaminants on fertility, (b.) non-invasive measurements of embryo quality, and (c.) fertility preservation for male and female oncology patients. Mike is an active member of the Canadian Fertility and Andrology Society (CFAS). He sits on the Assisted Human Reproduction Committee (AHRC) Health Reporting Information Working Group and has recently joined the Medical Advisory Board of Fertile Future, a non-profit organization dedicated to helping cancer patients preserve their fertility. Edward G. Hughes is a Professor of Obstetrics and Gynaecology at McMaster University in Hamilton, Ontario, Canada. He is immediate Past President of the Canadian Fertility and Andrology Society, Canada’s premier organization representing all disciplines in the field of Fertility care. After receiving an MBChB from the University of Liverpool Medical School, England, Dr. Hughes obtained additional education in Leicester, England, and later at the University of Ottawa, Ontario. He completed four years of post-fellowship training in reproductive endocrinology and infertility at the University of Ottawa and Monash University, Melbourne, Australia. Since joining the faculty at McMaster, Dr. Hughes has also completed a Masters Degree in clinical epidemiology and biostatistics. In addition to training as a Reproductive Endocrine and Infertility specialist, Dr. Hughes has worked as a GP in a remote area of Northern BC called Bella Bella at a community hospital run by the United Church of Canada. He has many interests outside medicine, including fine art, windsurfing and skiing. Ed lives in Ancaster, Ontario with his wife (a Pediatrician), their three children and many pets. Dr. Hughes’ research interests include clinical epidemiology, effectiveness of sub-fertility treatments, the effects of smoking, aging and environmental exposures on reproduction, and the inhibin/TGFß peptide family. He has recently led and completed a multi-centre randomized controlled trial of expectant management versus IVF (EMVI). He is currently beginning research work on Art Therapy as a healing tool for women dealing with infertility. Dr. Hughes has lectured on these topics both nationally and internationally. Dr. Hughes is a fellow of the Royal College of Physicians and Surgeons of Canada. 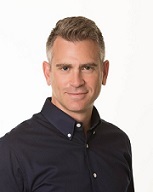 Author and coauthor of numerous publications, Dr. Hughes’ work has appeared in such journals as The Journal of Clinical Endocrinology and Metabolism, Human Reproduction, and Fertility and Sterility. He is a referee for The British Journal of Obstetrics and Gynaecology, Fertility and Sterility, Human Reproduction, and Canadian Medical Journal. He is an Associate Editor of the Journal Human Reproduction Update and a founding editor of The Cochrane Collaboration Sub-Fertility module. Dr Hughes also sits on the Science Advisory Panel to the Agency for Human Reproduction Canada. Dr. Beliveau is originally from Montreal. She pursued her undergraduate studies at McGill University where she earned a Bachelor of Science with honors in Physiology. In 1994, she graduated from medical school at Memorial University of Newfoundland with a Boehringer Ingelheim Achievement Award of Excellence. She then returned to McGill University for her residency in Obstetrics and Gynecology. 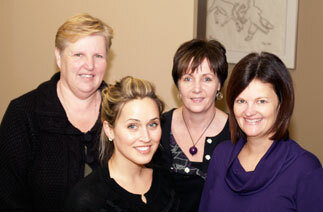 Upon completion, Dr. Beliveau worked in a private practice in Obstetrics and Gynecology. In 2009, she joined ONE Fertility as a fertility consultant. Her interests are all aspects of reproductive medicine. She is also fluent in French and English. Dr. Mehrnoosh Faghih is a specialist in Reproductive Endocrinology and Infertility. She completed her two-year subspecialty fellowship in Gynecologic Reproductive Endocrinology and Infertility at McMaster University in 2010 and joined the practice at ONE Fertility. She completed a residency in Obstetrics and Gynecology at McMaster University in 2007. She obtained her Doctor of Medicine degree with honours in Isfahan Medical University, Iran in 2000. Dr. Faghih is currently affiliated with McMaster University and is an attending physician at Hamilton Health Sciences Hospitals. She is certified in both Obstetrics and Gynecology and Gynecologic Reproductive Endocrinology and Infertility by the Royal College of Physicians and Surgeons of Canada. She is also American board certified in Obstetrics and Gynecology. She is a fellow of The Royal College of Physicians and Surgeons of Canada, and an active member of the Canadian Fertility and Andrology Society and the American Society for Reproductive Medicine. Dr. Faghih’s practice includes all areas of reproductive care, with particular interest in female infertility, premature ovarian failure, polycystic ovary syndrome, endometriosis and recurrent pregnancy loss and minimally invasive gynecologic surgery. Dr. Faghih has advanced surgical skills in reproductive surgery and, during her residency, was awarded the AAGL certificate for Excellence in Endoscopic Procedures. She is also fluent in both Engilish and Farsi. Dr. Fischer is an Assistant Professor in the Division of Urology with a cross appointment in the Department of Obstetrics and Gynecology at McMaster University in Hamilton Ontario. Dr. Fischer did his undergraduate studies at Acadia University and graduated from medical school at the University of Western Ontario. He completed his Urology residency in Halifax and a two-year fellowship in Andrology and Research Genetics at Mount Sinai Hospital and The Hospital for Sick Children in Toronto. Dr. Fischer’s research interests include Male Infertility, Microsurgery for Male Infertility, The Genetic Aspects of Male Infertility, Benign Prostatic Hyperplasia, Erectile Dysfunction and Andropause. He has published numerous articles in well-respected journals, authored textbook chapters and has presented his research at international meetings. Dr. Freebury obtained his Medical Degree at The Welsh National School of Medicine in Cardiff. He is a Fellow of the Royal College of Physicians and a Distinguished Life Fellow of The American Psychiatric Association. Before entering practice he obtained a Diploma in Obstetrics with the intent of establishing a family practice. After interning in South Wales he spent a year as a senior hospital medical officer in internal medicine in Portsmouth. He joined the Royal Navy for three years and was posted to Malta. He worked both as a ship’s medical officer and, when not at sea, as a physician to the land based Family Services clinic. There he was responsible for a family planning clinic serving young naval families. After leaving the Royal Navy he immigrated to Canada and worked as a family physician in Schreiber Ontario, before coming to Toronto to begin his training in psychiatry. After completion of that training he joined the staff of the Mount Sinai where he went on to become the Head of Psychiatric Ambulatory Services. He is a training and supervising psychoanalyst, a past President of the Canadian Psychoanalytic Society and a former Director of the Canadian Institute of Psychoanalysis, the training arm of the Society. He is a retired Associate Professor of Psychiatry at the University of Toronto. Dr. Freebury has a special interest and expertise in medical ethics having been centrally involved in the establishment of codes of ethics and disciplinary procedures for both the Toronto and Canadian Psychoanalytic Societies. He has taught Ethics to psychiatrists and students of psychoanalysis and he is a sought after expert in cases of ethical misconduct in the areas of psychiatry and psychoanalysis. He brings to ONE Fertility a lifelong interest in obstetric care and also in family building having had four children of his own. Dr. Evan Taerk is a specialist in Reproductive Endocrinology and Infertility. He completed his Bachelor of Science degree in Psychology, as well as a Master of Science degree in Psychiatry at McGill University in Montreal. He then went on to complete both his medical training and a residency in Obstetrics and Gynaecology at the University of Toronto. He later completed a Royal College Fellowship in Gynaecologic Reproductive Endocrinology and Infertility at McMaster University in Hamilton. Dr. Taerk has pursued additional training in research methodology and has a diverse range of research interests. Within the realm of Reproductive Endocrinology, his research interests include the optimization of IVF and IUI protocols to maximize pregnancy outcomes. He has presented at a variety of international conferences on this subject including the American Society of Reproductive Medicine and the Canadian Fertility and Andrology Society Annual Meetings. Dr. Taerk is a published author in the areas of Attention Deficit/Hyperactivity Disorder, HIV in pregnancy, and Menopause. He received an award by the Pacific Coast Reproductive Society in 2016 for his research on optimizing IUI cycles, as well as the prestigious Duchesnay International Fellowship for his work in Women’s Health in Kenya and Uganda in 2013. Dr. Taerk is a fellow of the Royal College of Physicians and Surgeons of Canada and a practicing Obstetrician/Gynaecologist. He is an Assistant Clinical Professor in the Department of Obstetrics and Gynaecology at McMaster University and an Assistant Clinical Professor (Adjunct) in the Department of Family Medicine at Queen’s University. When he is not practicing medicine, he enjoys international travel, playing basketball, seeing live music, and spending time with his family. Dr. Stacy Deniz is a specialist in Reproductive Endocrinology and Infertility. 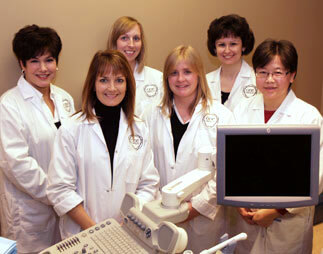 She obtained her specialty training in Obstetrics and Gynecology at McMaster University in 2012. She completed her two-year subspecialty fellowship in Gynecologic Reproductive Endocrinology and Infertility at McMaster University and joined the team at ONE Fertility. Dr. Deniz is a fellow of the Royal College of Physicians and Surgeons of Canada and an Assistant Clinical Professor in the Department of Obstetrics and Gynecology at McMaster University. Her practice involves the management of patients with female and male factor infertility, polycystic ovarian syndrome, recurrent pregnancy loss, premature ovarian failure and endocrinologic disorders affecting the female reproductive system. Her research interests include the disposition of unused embryos following and IVF treatment cycle as well as evaluating and improving the emotional support available to patients’ struggling with fertility issues. Dr. Deniz has advanced training in reproductive surgery including operative laparoscopy and hysteroscopy for fertility management. Most importantly, she is passionate about supporting couples and individuals along their fertility journey while helping them achieve their goal of parenthood.